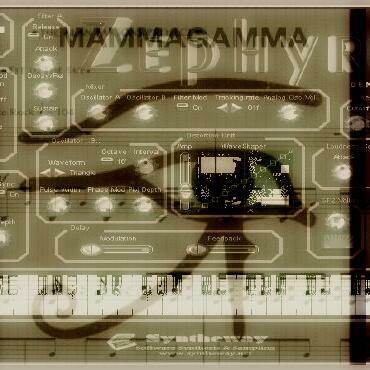 Mammagamma is an instrumental song from #EyeintheSky album by the British rock band #TheAlanParsonsProject, released in 1982. A) #Windows #Requirements: - Use this #Syntheway #VST #plugin with your favourite #MIDI #Sequencer like: #FL #Studio, #Ableton #Live, #Cakewalk #SONAR #X1 #X2 #X3 #Steinberg #Cubase, #Nuendo, #PreSounus #Studio One, #REAPER, #Mixcraft, #MAGIX #Samplitude, #Sequoia, #Energy #XT, #ACID #Pro, #Orion, #VSTHost, #SAVIHost, #nTrack #Studio, #Cantabile, #Adobe #Audition and many others ( Check out complete list of VST compatible hosts here: http://syntheway.com/vstcompatiblehost.htm ) - Place the #dll file / files into VST Plugins #Folder. - 500 MHz Processor ( #Pentium, #Celeron #AMD or equivalent) minimum. - RAM: 128 MB or higher recommended. - Windows #Operating #System : #WindowsXP, #WindowsVista, #Windows7, #Windows8 / #x86 (32 bit). - For Windows #x64 ( 64 bit ) test it first with VST #Bridge, #jBridge or #BitBridge. Hosts: Logic Pro X, #GarageBand, Final Cut Pro X, MainStage, Cubase, #Ardour, #AbletonLive, REAPER and Digital Performer) OS: Apple Mac OS X v10.6 "Snow Leopard", Mac OS X v10.7 "Lion", Mac OS X v10.8 "#Mountain #Lion", Mac OS X v10.9 "#Mavericks".